Human beings, unless they engage in the careful, systematic work and thinking that is the backbone of modern psychology, basically understand others by thinking others are like themselves. We project our inner experience on those around us. Our internal experience is what is most readily available to us. It makes most sense to us. Believing that others experience things the same way we do follows straight forwardly. Modern psychology has shown that this “others are like me” approach is in many ways successful at letting us get on with the business of daily life. The only time this approach gets us into trouble is when we interact extensively with another person. During such complex, lengthy interactions, the other person will communicate and behave in ways that may or may not line up with how we think they will. When the person does not, we learn that this person experiences things internally in ways that are different from our own. So how is this relevant to learning? Well, educators do the same thing. They project their learning styles onto their students. If I want to know an educator’s learning style, I look at the way they teach. Educators teach the way they personally learn. Unfortunately, not all of their students learn share their personal learning style. E-learning most do better than this. 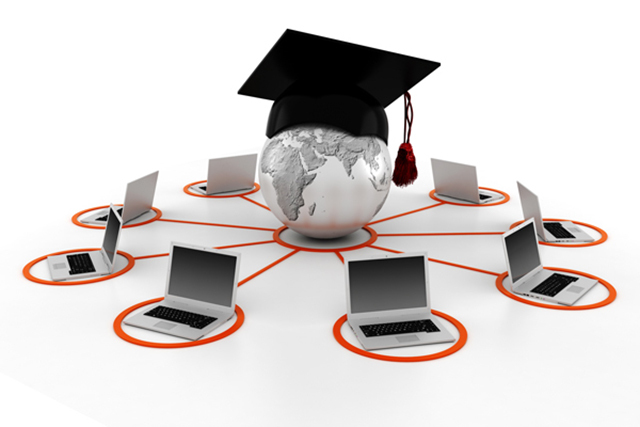 An e-learning program can potentially reach thousands of individuals. So how we, as e-learning designers and creators, get around this normal human tendency? The best way is to use a model of learning that provides you with an explicit design framework that keeps you from doing this. I use one of the following two models in my own work. I use Kolb’s model as my guiding framework whenever I am designing e-learning programs that will be used by individuals. I explicitly include elements in the program that cover all 4 kinds of learning. I started to do this years ago, when building conventional learning programs. My practice simply migrated to my e-learning design work. In some ways, this is a “shotgun” approach. But since I have been doing this, my learning material received far higher ratings it did in the days when I simply projected my personal learning style onto people. 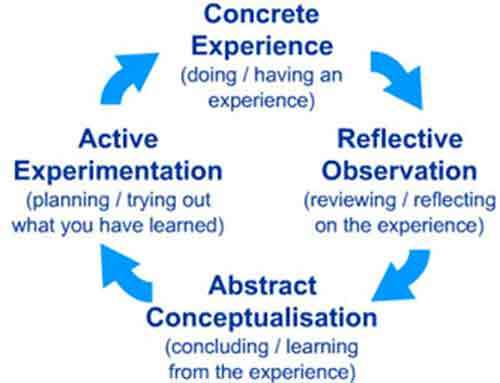 I used to design learning material in a way that stressed my personal “concluding / learning from the experience learning (Abstract Conceptualization)” learning style preference. I am no longer this naïve. I use the Development Styles framework whenever I am designing professional development programs that will involve individuals interacting in groups. I explicitly include activities that allow participants to engage in all four of the behaviors (Clarifies Verbally, Clarifies Reflectively, Validates Against Experience, Validates Through Consistency) that define these 4 Development Styles. Each person gets an opportunity to do what works best for that individual as a learner. I use this model because professional development normally includes know how to and know why elements as well as know that material. My goal in all my learning design and development work, whether or the web or for face to face programs, is first to create a great learning opportunity. But that is only a means to an end. My real goal is to get my participants to take it back to the job, even if that job is simply the day to day business of living life. Just taking this simple step – consciously designing and including material that covers all of the learning dimensions in one of these two models will go a long way to increase the effectiveness of your e-learning programs. But this is only a first step. Whenever we have the budget, we need to do more, particularly if our learning objective is changing behavior on the job – whether that job is income oriented or just living day to day life. We need to structure our e-learning content delivery in a way that explicitly matches each e-learner’s learning style. When we do that, we achieve the following. We maximize this person’s engagement during the time they are working on the program, which will lead to improved speed and ease of learning. We deepen retention, meaning that it will be easier for this person to take what they are learning and apply it back on the job. We increase their fun and enjoyment during the learning experience, energizing them to work through the strangeness that always accompanies learning new ways of doing things, and leaving old ones behind. Determining a person’s learning style is not that hard to do. By using one of the models above, presenting participants with a few short scenarios based on it, and asking them to indicate which choices best describes how they like to learn, we can rapidly determine that individual’s learning style. Once we know that, with a bit of background programming, we can present our learning material in a way that has been explicitly created to match this person’s learning style. Of course, the cost during the development phase of our work will increase somewhat. But if we are already using a “shotgun” approach in our e-learning design and development, this increase will not be dramatic. The day will come when this way of delivering e-learning will become the norm. It maximizes the value of the learning experience for the learning. This is learner centric, rather than educator centric learning. Educators will stop projecting their personal learning style onto their e-learning program participants, and become true learner-centric educators. McLeod, S. A. (2010). 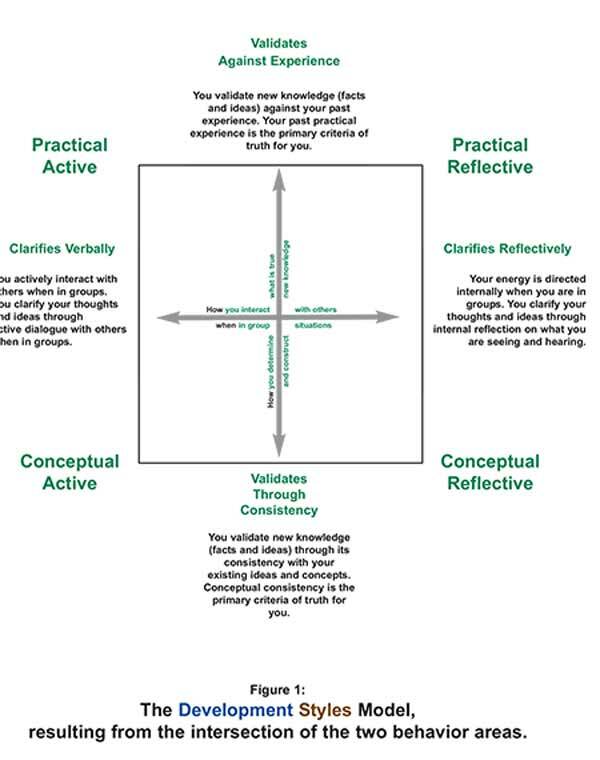 Kolb – Learning Styles. Retrieved from http://www.simplypsychology.org/learning-kolb.html. Kolb’s model has been available since 1984. It is widely used and referred to. Google “Kolb learning styles” to find thousands of Internet references. See my voice over presentation on making E-Learning content choices or the PDF version of the supporting paper for more on this. Both are available on the Internet. Roelf Woldring “Development Styles: A Competency Styles Skill Development Workbook” available through contacting me or from Amazon.com. See my previous writing on the differences between knowing that, know how to and knowing why – and how they impact developing learning programs on Linked In or on my website. 6 Seconds to Rejection – Can Hiring Managers Afford It? Some time ahead I created a voice over Internet presentation for managers on the difference between recruiting for well established roles and recruiting for roles that will make change, perform at peak levels and introduce innovation. (See “How Do I Find the Talent I Need?”). I explore the two kinds of recruiting and ask managers to think about which one fits their hiring needs. This morning I saw a short Internet video from Business Insider that presented the results of research that was done on how recruiter read resumes. The researchers found that recruiters spend less than 6 seconds on a resume. They look at the person’s name, the person’s current employment – title and dates, the person’s last place of employment – again title and dates, and then the person’s education. They do that in 6 seconds. If the resume does not fit the pattern that they are looking for, it is rejected and the recruiter moves onto the next resume. What a powerful way to illustrate the difference between recruiting for well established roles and recruiting for innovation. 6 seconds to rejection only works when a recruiter is looking for an exact fit to a preconceived notion of what the job is all about. If you are manager, and you need innovative or high performing people working for you, you cannot accept the results of the 6 seconds to rejection recruiting. You must find recruiters who do more. Such recruiters take the time to understand your requirements. They want to know what defines effective future performance on the job. They will ask you how you will measure this – what will you see and hear that defines such a level of high performance. They will create candidate filtering processes that move beyond resumes. They know they are searching for talent, not conventional fit. Such recruiters will not be working for most of the recruiting departments in organizations or for most of the recruiting and search firms that exist. These groups are full of 6 second to rejection recruiters. 6 seconds to rejection recruiters don’t have to live with the consequences of their actions. You, the hiring manager, do. You and the person who fills your job will be working together for months, perhaps years. A 6 second to rejection recruiters has no stake in your long term. Of course, if you as a hiring manager are looking for a conventional candidate who will fit into a well established job and perform at a normal level, then by all means use 6 seconds to rejection recruiters. They are likely to be cheapest. Even if they are not, they are not likely to ask much of you. That will save you time. But if you need anything more than conventional performance in the people who work for you, you run the serious risk that exactly the candidate you need will be in the pile of rejected resumes resulting from your recruiter’s 6 seconds to rejection process. How can you tell the difference between 6 second to rejection recruiters and the one you need? In exactly the same way you separate an exceptional candidate from an average one – by watching how the recruiter behaves. A 6 second to rejection recruiter will be satisfied with a traditional job description. He or she will post the job on whatever Internet recruiting platform is normally used in your organization. Then the recruiter will read incoming resumes to find a number of conventional fit candidates. The recruiter will pass these onto you. In contrast, a future performance oriented recruiter will ask you for time at the beginning of the recruiting process. She or he will want to know a lot about how you will define successful future performance on the job. This recruiter will use this information to create filtering mindsets and techniques that are designed to look for the candidate innovativeness and future high performance you need. This recruiter will also read resumes. The future performance oriented recruiter will be looking for clear signs that this candidate has taken the time to signal innovativeness and demonstrate exceptional performance. That may take the recruiter 30 seconds to determine, but those 24 seconds are the key to spotting a potential high performer for you. When future performance oriented recruiters find such a resume, they use the specific filtering techniques they created for your search to quickly determine – is this person real or is this just a well crafted resume? The recruiter will focus on what the person can do in the future, not just what the individual as done in the past. So choose. As a hiring manager, your choice is really quite simple. Live with the results of 6 second to rejection conventional recruiting, or invest more. Find an atypical recruiter, one who does not practice 6 second to rejection recruiting. Ask e-learning clients 3 questions or pay the price! Great, you got an opportunity to propose developing an e-learning program for a new client. They like the examples of e-learning that you have up on your website. They know that you have up to date skills in the major e-learning software development platforms. They are thrilled about the possibility of working with you. You are getting ready for the project scoping meeting with the senior client representatives. What should you ask them? Here are the three critical core questions you must ask at this stage, and the reasons you need to ask them. How long do you expect this e-learning content to remain current? Some clients know the answer to this question. Others may not. But the expected useful life of the program is one of the key things that you need to know. Some things, like a technical skill, may only have a useful lifetime of months. Other skills, like soft or people skills, might have a lifetime of years. Content with shorter lifetimes must be addressed with smaller program development budgets. What was true in one client’s circumstances may not be the same as in this new client’s. Don’t assume or guess, know. Ask so that you can properly scope your development proposal. If your new client representatives does not have an immediate answer, take the time to explore the issue with them and develop it together. How many people will potential use this e-learning program? The economics of e-learning are very different from the economics of traditional learning or professional development. The single most important element in e-learning economics is the “unit cost of delivery” – how much will it cost to deliver a single instance of this program to a single learner. An e-learning program, especially when delivered over the Internet or an learning management system, can potentially reach thousands of people. This means that the cost of developing the program will be spread over many, many people. When this is the case, you can make a business case for more room in the development budget. More room in the development budget means money to pay for things like video components, interactive menus, and even – adaptive content delivery that takes different paths depending on each learner’s personal ability, learning style and background. When the potential individual delivery numbers are large, you must discuss these alternatives with your potential client. Each of these can increase individuals’ learning engagement. Increased engagement means greater transfer of skills back to the job. A well used, larger e-learning content development budget will pay off in increased productivity for your client. In contrast, when the number of anticipated users is small, you will rapidly want to focus on including the simplest version of the one or two techniques that maximize engagement for this client’s learners in your proposal. What is the one critical thing that you expect people to do differently back on the job when they finish this e-learning program? Clients expect results. That is why they are paying you. You might think that the results they are paying you for is the e-learning program that you will deliver. But it is not. For most clients, your hard work is a means to an end. You need to know your client’s ultimate end in order to properly develop first your proposal, and then eventually the content you will deliver. For most clients, the ultimate end is a change in the way that the people who take the program behave on the job. You must know precisely what change in behavior your client wants to achieve. Knowing this will drive all of your content creation and delivery process design decisions. You can’t put together a correct development proposal without insight into this client goal. If you don’t know this, you will fall into the trap of projecting such an ultimate requirement onto your client. You may be aware that you are doing this. You may not. But all professional training, including e-learning, is about changing the way that the people who take the program behave on the job. You can’t properly develop any professional training program without having such a goal, whether it is explicit or implicit. If you don’t ask this question, then unless you are lucky, and your projected change lines up with the client’s need, you are not going to have a satisfied client. What do you risk if you don’t ask these three questions? These three questions are core to e-learning project scope definition and client expectation management. Nailing the answers early in your dialog with your potential client’s representatives underlie developing an effective proposal. You will use that proposal, and your client’s belief in it, as the foundation on which you will build the e-learning program. Not knowing the answers to these questions mean you run the risk of building great e-learning content that does not meet your client’s needs. Do that a few times, and you will pay the price – a poor reputation and a lack of future business, no matter what your skill level as an e-learning content creator. On February 21st, Lou Adler posted the following on Linked In. It generated a lot of interest, including my own comment at the end of this blog. The idea of matching someone’s skills and experience on a resume to a job description consisting of an arbitrary list of skills and experiences seems rather archaic to me. Some people actually defend doing this faster as a major advance in modern HR practices. In a recent post, I suggested that a better first step was a candidate being referred to a recruiter or hiring manager by someone already in the company, a vendor, a customer, or someone who can personally vouch for the job-seeker based on the person’s past performance. This is equivalent to using the company employee referral program to proactively seek out more top performers. Most companies recognize this as one of their best sources for new talent and the primary reason why referral programs are being expanded using tools like LinkedIn. Promoting people through internal mobility is also based on the tried and true concept that performance is more important than experience. In my new book, I suggest that the process used for internal promotions represents a good model for finding and hiring people from the outside. Adopting this approach involves eliminating traditional skills-infested job descriptions, replacing them with performance profiles, and reconfiguring the box-checking first step. A properly prepared performance profile can identify and document the essential functions of a job better than traditional position descriptions, facilitating the reasonable accommodation of disabilities and making it easier to comply with the Americans with Disabilities Act and similar laws. In the book, I also suggested that the standard “submit resume and box-check skills” approach should be replaced by an initial matching process that didn’t inadvertently eliminate fully-qualified people. One idea was to have candidates submit a one-page summary of two accomplishments most comparable to the real requirements of the job. Since the job postings I recommend minimize skills and emphasize opportunities and challenges (sample), this is pretty straight-forward. For example, if you’re hiring a maintenance supervisor to minimize machine downtime and upgrade the team, ask all applicants to describe something they’ve done in each area as the first step. This will minimize the pool of unqualified people from applying and broaden the pool of the most qualified who might have a different mix of skills and experiences. David gave a legal thumbs-up to both the creative advertising idea and the alternate approach for applying. Coincidently, in the past few days two different starts-up companies approached me to consider being on their advisory boards. Both had far different and unique ideas on how to broaden the pool of potential candidates by breaking the same nonsensical skills-matching process described here. The common idea: the best people aren’t interested in lateral transfers, the best people often have a different skill-set, and these same people aren’t interested in enduring the insensitive application process. Excluding the most talented people from consideration when hiring from the outside never made sense me. It’s exciting to see some technical advances being proposed to now do this at scale. If you follow my posts, you know I’m on a quest to change the focus on finding and hiring people to one based on their actual performance – they’re ability to deliver comparable results. It’s what people have accomplished with their skills and experiences that matters, not their accumulation. This opens up the door to a whole new pool of more diverse, younger, older, military veterans, displaced workers and the physically challenged. We don’t have as big a skills gap as the national media contends, we have a bigger thinking gap. Lou Adler (@LouA) is the Amazon best-selling author of Hire With Your Head (Wiley, 2007) and the award-winning Nightingale-Conant audio program, Talent Rules! His latest book, The Essential Guide for Hiring & Getting Hired, is now available as an Amazon Kindle eBook. Well, how intriguing, I am about to both somewhat agree and profoundly disagree with Lou Adler, a man whose writings I deeply respect. I think that he probably used the word ban to provoke dialogue. He certainly succeeded – 411 comments at my last count. A quick scan of the comments – they seem to break into two camps – folks who agree and folks who don’t. But both groups seems to me to miss one of the key points. Resumes are tools. Tools serve a purpose. But if you have only one tool in your took kit, then you then to see everything in terms of that tool. I don’t. I use a bunch of tools as a recruiter.. A resume is just one. When I use a resume, I treat as a tool to make a crucial decision – will I choose to invest more time in getting to know this person well enough to make sound decisions about their status as a potential candidate. How I use the resume is all about me and my decision making process, not about the quality of the match between the candidate and the job. I can make a first scan “no –I will not invest more time in this person – decision” in about 10 seconds. I have probably read 10,000 plus resumes during my career as a recruiter and as a hiring manager. Of these two, reading them as a hiring manager is of far more importance. A people manager, I have had to deal with the consequences of the hiring decisions that I made (hundreds plus) – including the bad hires that I made. Doing performance reviews at 3 months and 12 months point has shown me that I made more than 1 bad hire decision over the years – maybe about 10% of my total hires were “not the best” looking back. A few were outright disasters, for me, the person that I hired, and the organization for which I was working. That means that I read resumes with a very different set of eyes that 95% of the professional recruiters with whom I have, and do, work. Here are some thoughts about how I use a resume as a tool in my recruiting – hiring decision making process. 1. If we could count on resumes as being written by the people whom they profile – i.e. as personal expressions – they would be a kind of performance piece. I still read them this way – how well does this person do at the job of presenting oneself in a world where it is tough to use this limited tool to stand out – to differentiate yourself? Unfortunately, in the last 5 years, more and more (almost all now) of the resumes that I read are written by “resume writing professionals” or based on a “format” that is available in a book. I always ask the folks I invest more time in “Did you write this? Did you follow a format that something else recommended?” The answer is almost always yes. Given this fact, in my opinion, resume still work as a “first scan tool”, but that is about all. 2. Everyone practices resume inflation. A resume is a marketing document. You write it (or have it written) to make yourself look good. I read them now (in about 30 seconds) to answer ONLY three initial questions for myself. • Has this person invested enough time into this resume (or cover letter) to indicate that the individual is motivated to want this job – to adapt the first way they present themselves to me in a way that reflects what I have communicated about the job, or is this a “one size fits all piece”? • Are there enough facts in this resume here that indicate that this person has a hope of having some past experience that indicates that they either have relevant skills or RELEVANT POTENTIAL to be a person I want to invest more time in getting to know on this recruitment? • If I should decide to invest more time in this person as a possible candidate, what “past accomplishment or performance” looks likely to be a good one that I could use to explore in depth through dialogue with the person to get a better sense of who this person was when she or her was doing this accomplishment? That is what I use a resume for. I don’t use “key word matching” algorithms. The information they generate is about words on paper, not about people who can potentially do a job. I don’t make hiring / candidate recommendation decisions on the basis of resumes. I make “explore deeper decisions”. I believe that resumes, even given the way they are generated today still serve a “good enough purpose” to do that, provided the recruiter AND hiring decision maker also has some or all the tools that Lou recommends in his performance based hiring writings (or similar tools) in his or her tool kit. If I were to make one change in the recruiting process (and I do so in my own firm), it would have to do with recruiters, not resumes. I would never assign a person to a recruiting role until they have had experience with managing people on-the-job, high performers, average performers and poor performers. You can teach people recruiting techniques, including skills which help them understand the performance requirements of the job, and deep interview skills in a reasonable period of time. But you can’t generate the mature people judgment capability you need in a high quality recruiter in a reasonable period. You can only search for, select and deploy it. I believe that this will make far more difference to the quality of recruiting that banning resumes.